Runbox gives your company secure and powerful messaging services affordably and easily — you can be up and running in minutes. 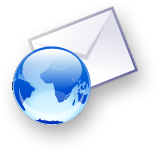 Let Runbox host your company’s email @yourdomain.com, and avoid the problems and high costs of running your own email server. Runbox is available day and night, wherever you are, making your business communication more efficient while protecting your privacy and giving you peace of mind. And if you need web hosting, we have that too. Runbox is safe and easy — let us worry about your email for you. From your Email Account control panel you can easily set up as many accounts as you wish. Additionally you can create any number of additional email addresses (aliases) on each Runbox account. See our Price Plans for details. Every company ought to have its own domain name, both for its web site and its email, because it identifies you on the internet and lets your customers know that you take your business seriously. With Runbox Email Hosting you can easily set up email accounts @yourcompany.com. Runbox has been at the forefront of email development since 1999, and we continuously work to provide the most modern and user-friendly email services for your company. It’s easy to transfer your email from other email services, and we will help you through the steps. Just set up your Runbox account and let us know you’re moving in, and we will take care of the rest. Runbox utilizes Open Source software that enables us to greatly reduce our costs compared to many other providers. Combined with our scalable price structure you only pay for what you get: Fast, secure, and reliable email hosting. Runbox is entirely free from intrusive ads, giving you a clean and uncluttered environment that allows for efficient email management.